The first keyboard app that uses the Stickers Integration feature is GBoard. 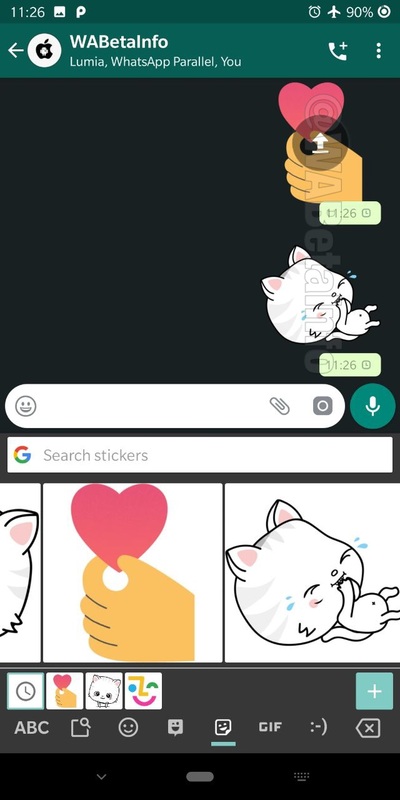 The Stickers Integration feature is enabled in WhatsApp since December, 12 but it’s currently not available in GBoard. WhatsApp has decided to enable the feature to allow Google to work on it, and probably development reasons keep the feature disabled on GBoard. For this reason, it’s ok if you have updated your GBoard version and it’s not working for you seen that the feature is under development. 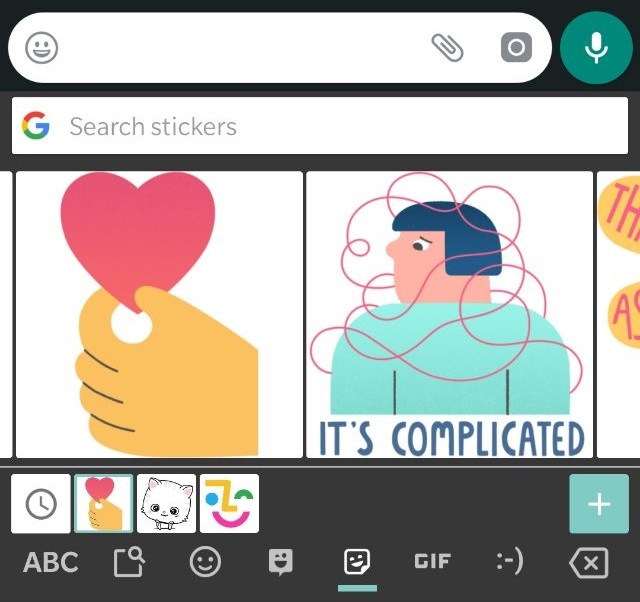 Soon, GBoard beta will offer a new functionality for their users, if the latest WhatsApp beta for Android version is installed: a Stickers Integration feature. As you know, GBoard offers a Stickers Panel to send stickers to your contacts. WhatsApp has worked in the last weeks to allow third-party keyboards to use their Stickers service. Thanks to the Stickers Integration feature (and the GBoard beta update available on January, 15) any GBoard Static Sticker sent in WhatsApp will be automatically converted from GBoard to a compatible sticker format (webp)! As we mentioned above, WhatsApp has enabled the feature to allow Google to test it, but it’s not currently available in GBoard beta: it will be enabled in the next weeks. Seen that the feature is now disabled in GBoard, if you try to use it, Stickers are sent like images. When the feature will be enabled, they are sent like real stickers. WhatsApp will allow in future to more keyboards to use their Integration Service, but currently it’s exclusive for GBoard (probably because WhatsApp provided instructions to Google only).